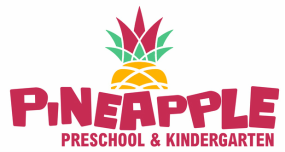 Pineapple Preschool & Kindergarten specializes in providing Early Childhood Education with scientifically based and internationally recognized method design by Dr. Maria Montessori to provide rich academic, social, physical and cultural experiences that build confidence, encourage independence, and awaken the full potential of each student. Pineapple Preschool and Kindergarten is one of Indonesia’s well-established early childhood education institution for every children. Our curriculum help children to learn independence at their early age and students are expected to learn at their own pace. At Pineapple, we are offering our students a Montessori learning experience. Pineapple is committed to the pursuit of excellence in educational services and practice. Empowering each individual to be an enthusiastic active learner and confident citizen of the future. Acknowledging and responding to each learner’s potential. Continual evaluation, improvement and quality assurance across the institution.